Nearly two-thirds of Americans own a smartphone and almost half own a tablet, which means you probably have one (or more!) right at your fingertips. Keeping those devices up to date and connecting with your home network can be a challenge—but it doesn’t have to be. Now TDS’ Remote PC Support includes help for your mobile technology. When you subscribe to Remote PC Support, a TDS repair advisor you can trust accesses your computer, smartphone or tablet over your Internet connection and resolves problems in front of your eyes. And thanks to a new free app, you can use the camera on your mobile device to show repair advisors cords and connections, a frequent source of trouble. So, keep your technology at home and don’t wait for a repair visit. TDS will help you set up your computer, iPads, and phones—including fixing those pesky email settings and getting your devices (even printers!) to work on your Wi-Fi network. 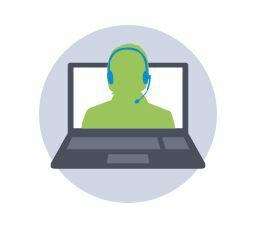 Remote PC Support is available as part of a Plus Pack for a monthly fee, or as a one-time option. For more information, visit tdstelecom.com/rpcs or call 1-888-CALL-TDS.